Whenever we go on extended river float trips to the Alaskan wilderness, we try to take enough decent food (fresh, packaged and freeze dried) to give us a semblance of good eating. Needless to say we have fresh fish nearly every night as well. But, like the best laid plans . . . , sometimes the food starts running low, or we tip over a raft in the rapids and lose a box of food. So, when it starts getting down to the end of the good grub, we improvise and create what we affectionately call, Pirate Stew! Pirate Stew is a mixture of whatever we can find that hasn’t spoiled or gone rotten, all cut up and thrown into the pot, along with some wine or vodka to kill the bacteria (and add some flavour). It’s not le pot au’ feu, but it does taste pretty good on a cold, rainy Alaskan evening by the campfire. And it does the job, but just barely. In many cases, corporate cultures inadvertently wind up like Pirate Stew, and while the diversity potentially adds to the ability to create and innovate, the dark side of having an excessively diverse corporate culture is the inevitable formation of subcultures that don’t seem to work well together and often prove difficult to get moving all in the same direction to support business change or transformation. Here’s what happens. Most organizations start out with a clear purpose and a set of shared values and ground rules about what is important and how we work together. The goal is clear, everyone knows everyone and have the same overall sense of purpose; do good for customers and grow the business. But as the company becomes successful and grows, new employees, new managers and new members of the leadership are added, bringing valuable new skills and experiences, but also their values and ways of behaving from their former companies. In other words, the single value-system and clarity of purpose starts to get lost as more and more people from other corporate cultures join. And when clarity of purpose is lost, and conflicting value sets start to clash, the power of corporate culture begins to become a liability. Consider the “Pirate Stew” cultures in todays global banking organizations. A very real example is Goldman Sachs, the full-service global investment banking and securities firm which provides mergers and acquisitions advice, underwriting services, asset management, and prime brokerage to its clients, which include corporations, governments and individuals. The firm also engages in proprietary trading and private equity deals, and is a primary dealer in the United States Treasury security market. Goldman Sachs is huge, 33,000 employees and revenues in excess of $29 Billion, and known globally for its financial expertise. At one point Goldman Sachs was the elite financial services firm and regularly recruited the best and brightest from the top MBA schools. But the elite reputation of the firm is now very much in question. 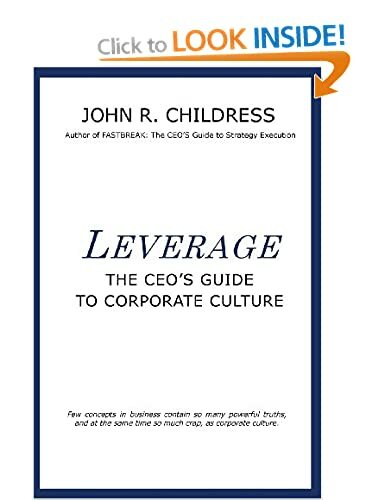 The original corporate culture, based on its famous 14 Business Principles (with “OUR CLIENTS’ INTERESTS ALWAYS COME FIRST” as the number one principle), has been transformed into that of a “corporate pirate” where greed and self-interest has replaced both personal and professional ethics. In fact, the common name for Goldman Sachs nowadays is the “Vampire Squid”, a nod to its blood-sucking greed and global reach. Recently, a resignation letter by Greg Smith, former head of Goldman Sachs US equity derivatives business, which was published in the New York Times, brought to light the changes in ethics and corporate culture that have taken place over the past 20 years. The day after the publication, $2.5 Billion was erased from the firm’s balance sheet. As Goldman Sachs grew and expanded it recruited from many different cultures and didn’t seem to understand that while they were gaining great talent and experience, they were also seriously damaging their original culture of excellence and principles.While Goldman Sachs is a big example, the principle of building Pirate Stew cultures happens in all sizes of organizations. The negative aspects of Pirate Stew cultures can be mitigated with a few simple people processes. Put in place a set of initiatives to help new joiners understand the culture they are joining, the importance of that culture to the success of the firm, and that they will be evaluated against, among other things, how well they fit into the culture and values of the organization. 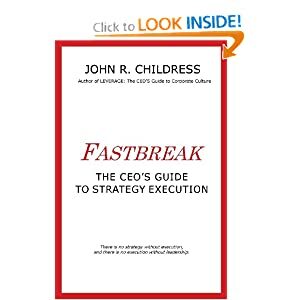 Simple, not costly, and highly effective at maintaining the essence of all that is positive and powerful about your corporate culture. However, in all my years of consulting I have come across only a handful of organisations who understand the principle of culture and values alignment. And those that do are able to embrace diversity while at the same time maintaining the clarity of purpose and strength of core values that make their culture a business asset. Consider Zappos, the online shoe retailer, who unabashedly promotes the fact that their culture is their number one competitive advantage. Another firm that springs to mind is Nordstrom and their intensive service training programs for all associates, full or part-time. How do you make certain all new employees understand your company culture? Is your culture an asset or a liability? This entry was posted in consulting, corporate culture, flyfishing, Human Psychology, John R Childress, Organization Behavior, strategy execution, the business of business and tagged Alaska fishing, culture training, employee service training, Goldman Sachs, leadership, Nordstrom, Pirate Stew, politics, Vampire Squid, wilderness cooking, Zappos. Bookmark the permalink. Great post John..I think that culture can erode was greed and the seductiveness of ‘more’ become the louder chorus. Perhaps it requires a bit more than inculcating new hires with the company’s core values. As the economy drives company’s to look ever outward for business and opportunity, some time has to be spent looking inward and conscious decision-making about those who are inadvertently sabotaging the group ethos by unbridled self-interest. Unfortunately, the rainmakers are rewarded for their book of business and I think are often tacitly given permission to continue their pursuits even when they are counter to the culture.